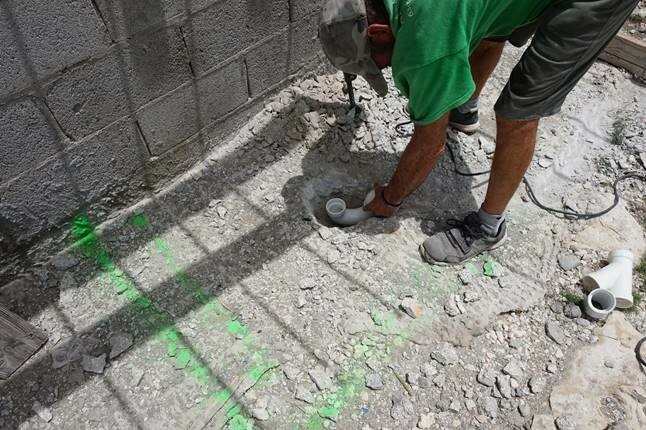 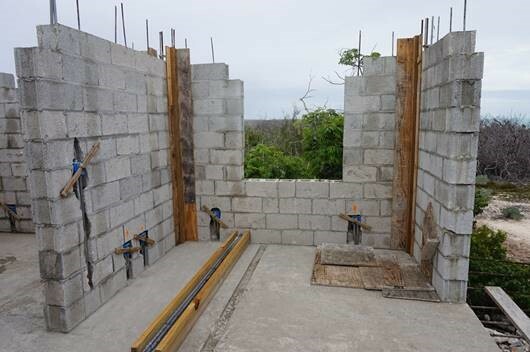 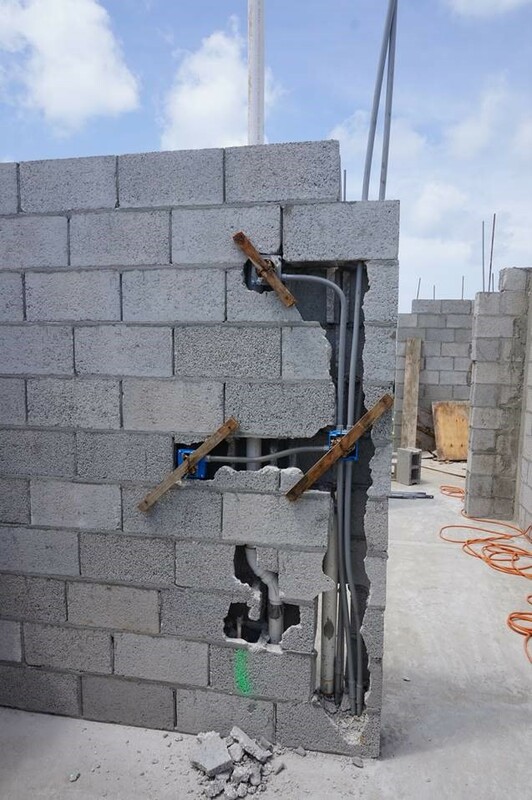 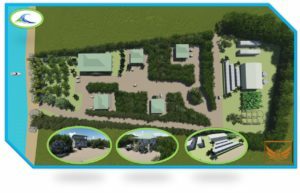 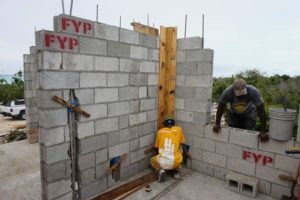 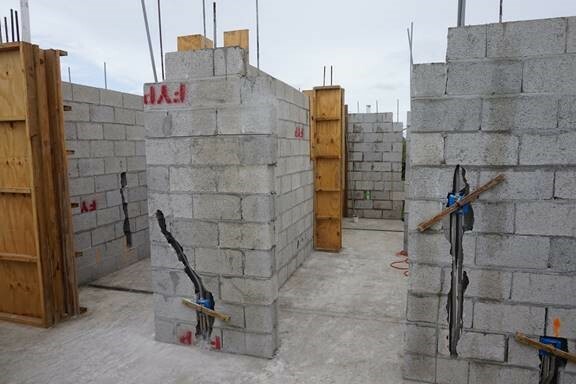 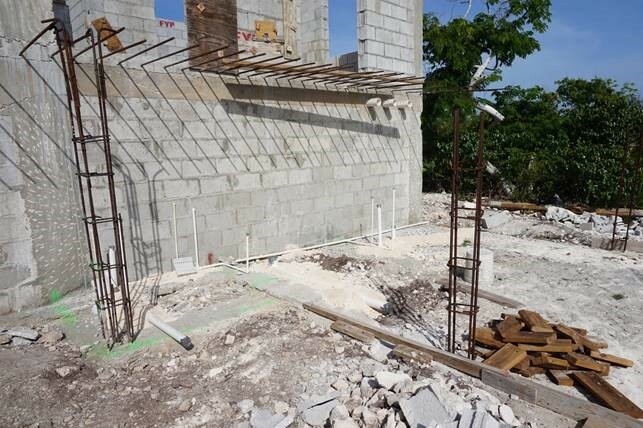 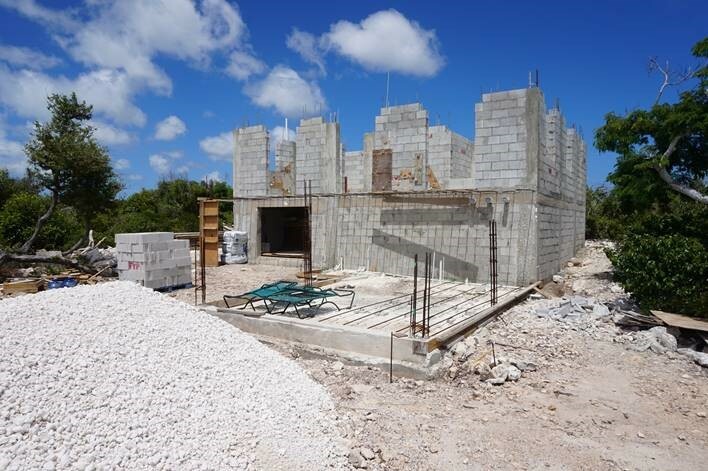 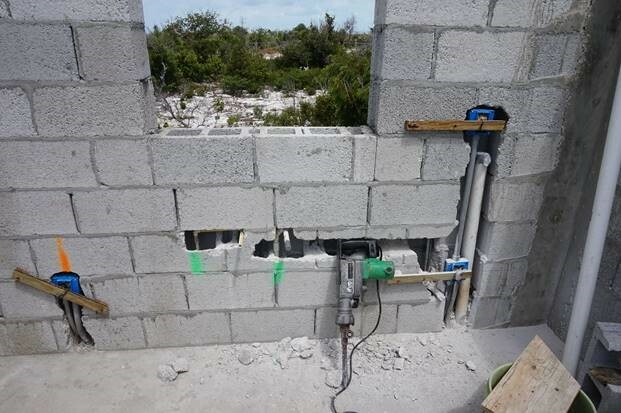 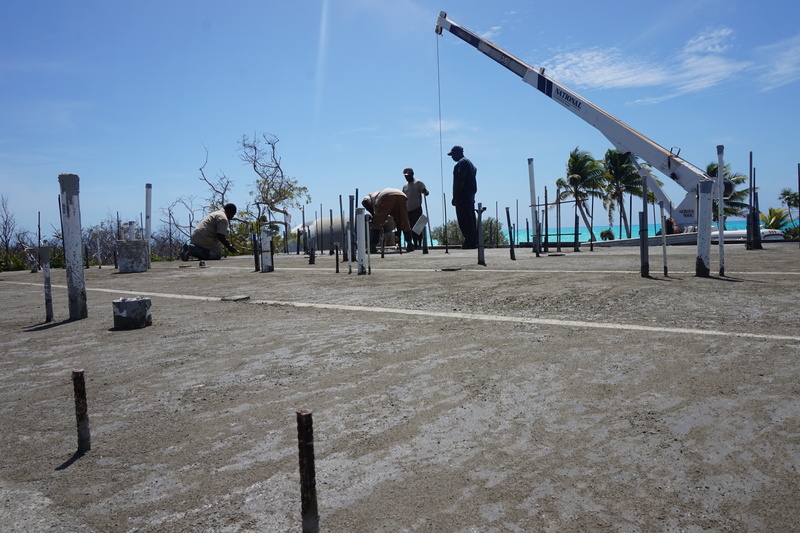 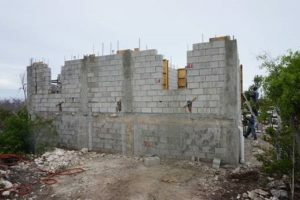 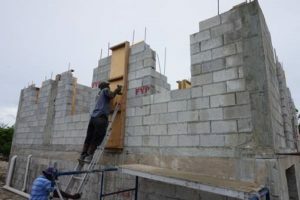 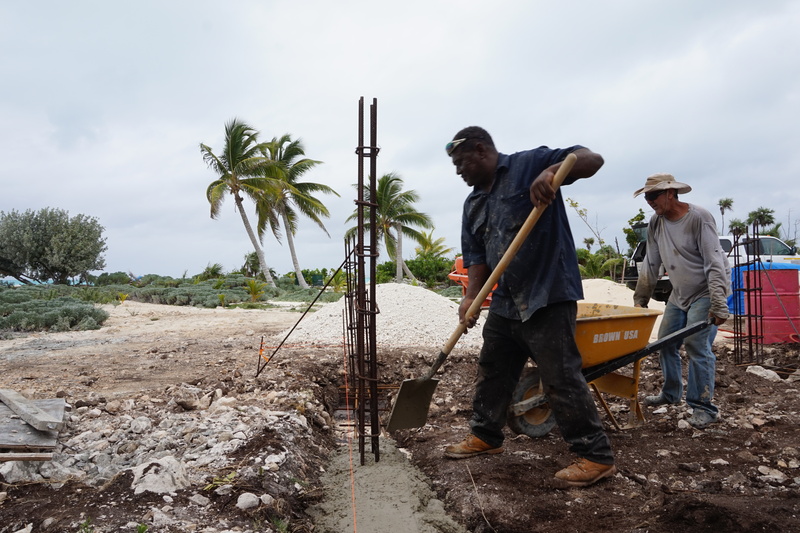 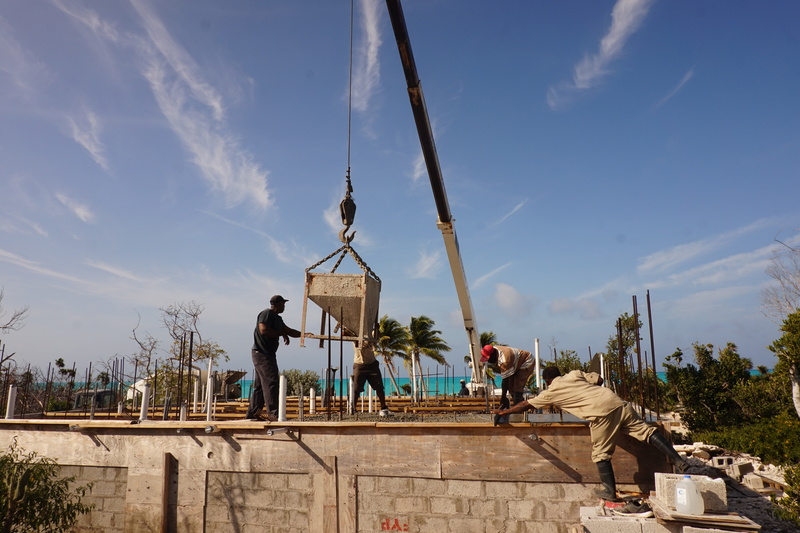 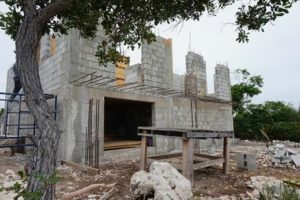 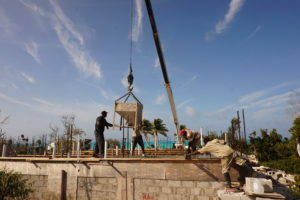 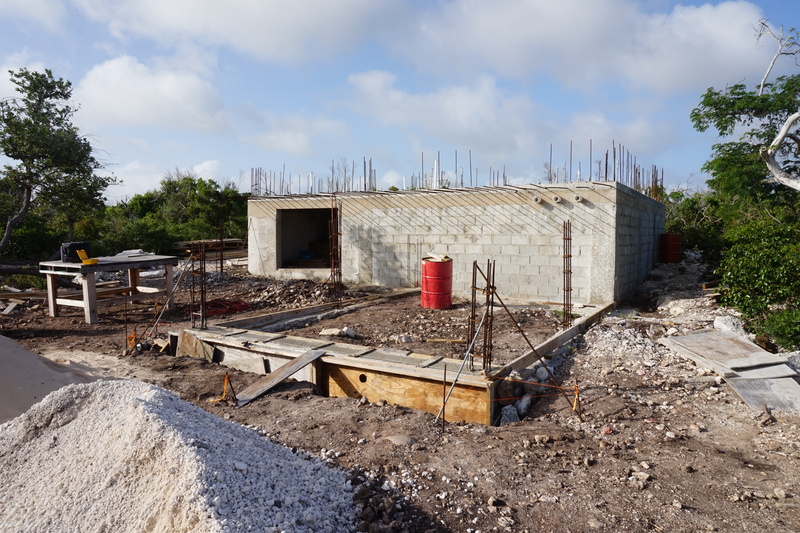 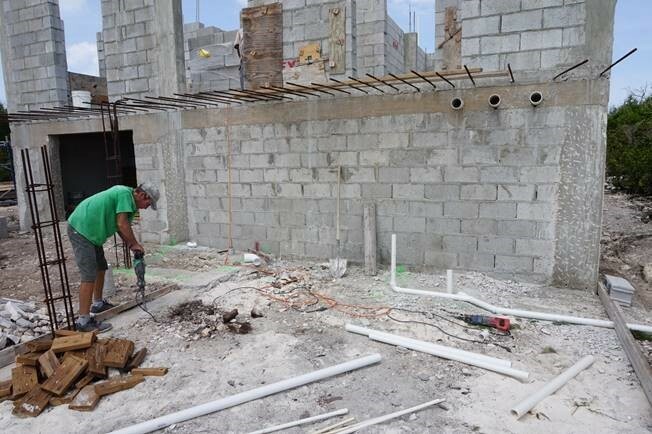 Despite us having to prepare and work around both Category 5 Hurricanes Irma and Maria, work continues on the Kitchen Kottage the first building to be constructed on the OCA, Cabbage Point, Bahamas Facility property. The upper level walls are up, the columns are poured and the electrical and plumbing is in the walls. 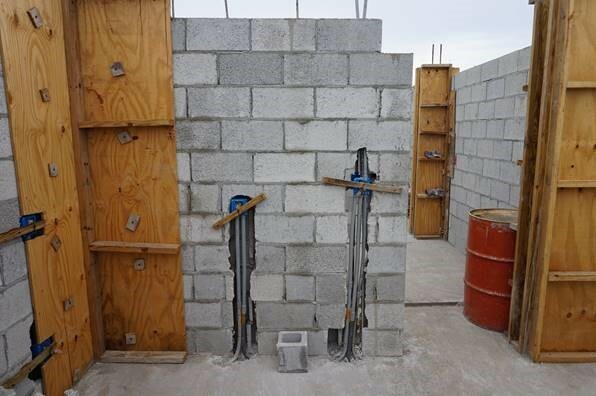 Next we pour all the block cells with concrete exterior and interior walls! 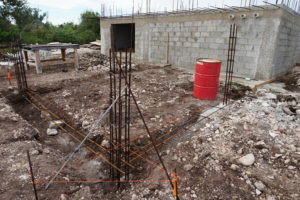 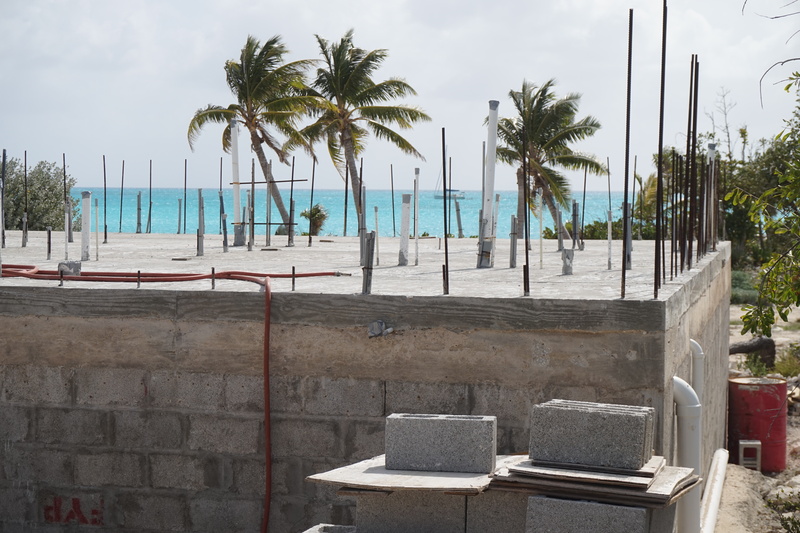 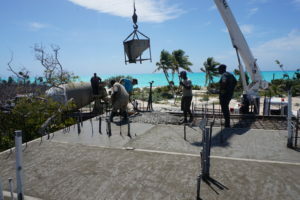 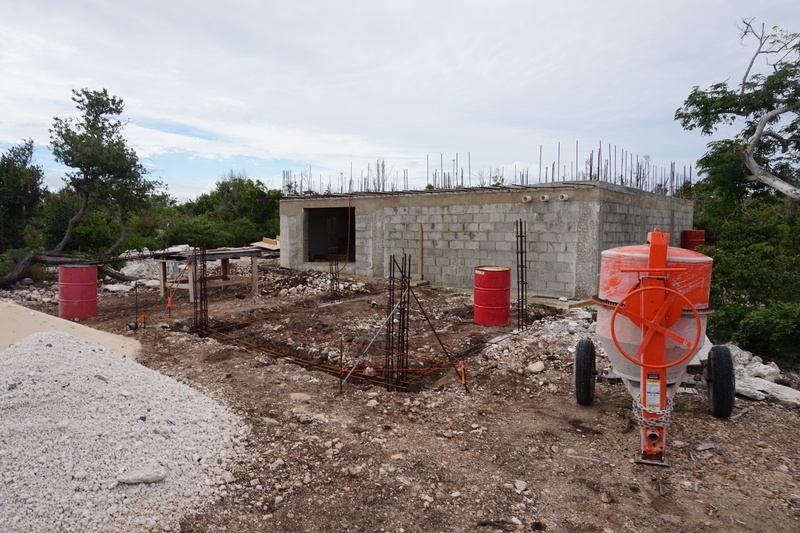 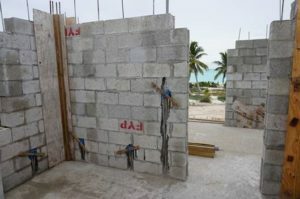 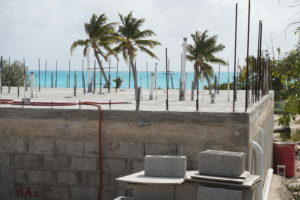 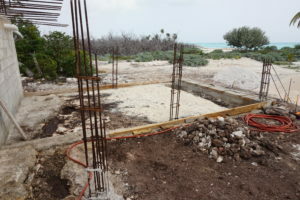 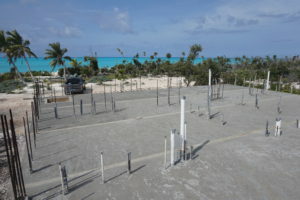 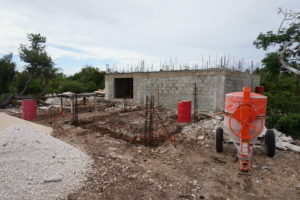 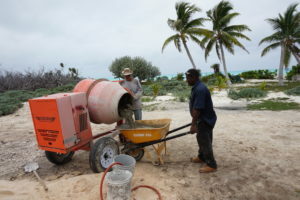 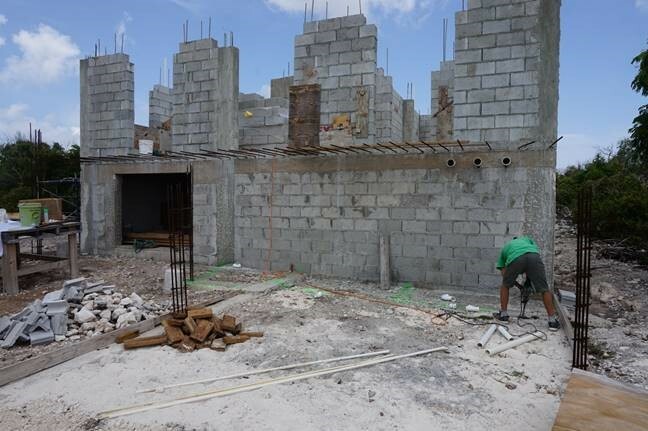 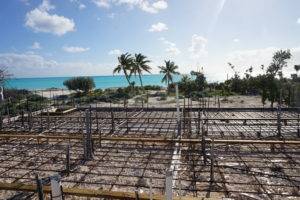 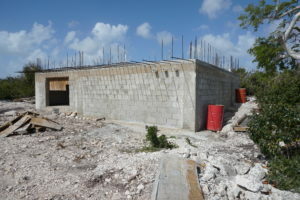 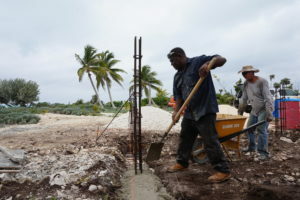 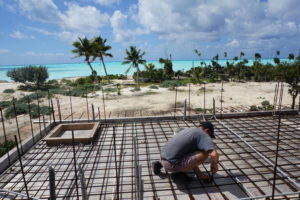 Work continues on the Kitchen Kottage the first building to be constructed on the OCA, Cabbage Point, Bahamas Facility. 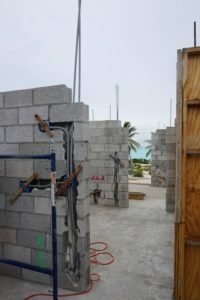 The addition of a Guest Bathroom area and an office is being incorporated into the space below the Kitchen Kottage Lani. 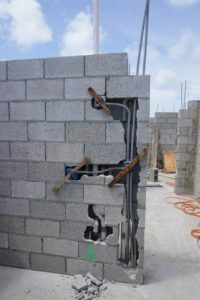 This is a welcome addition to the building! 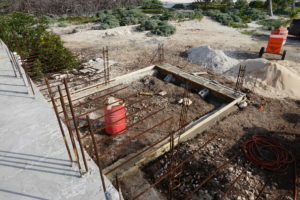 Kitchen Kottage – guest bathroom and office space footer and columns! 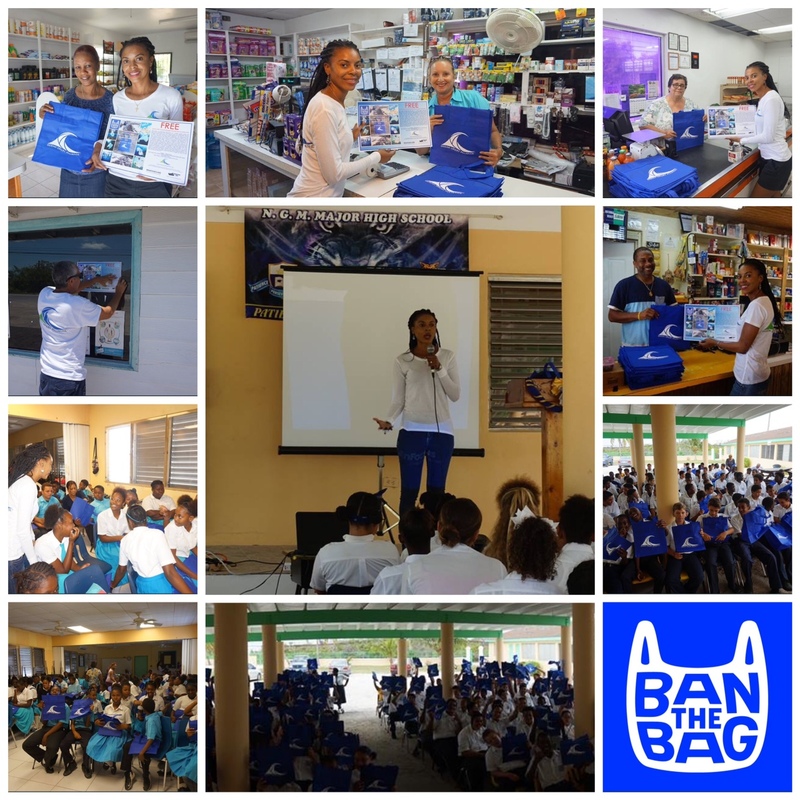 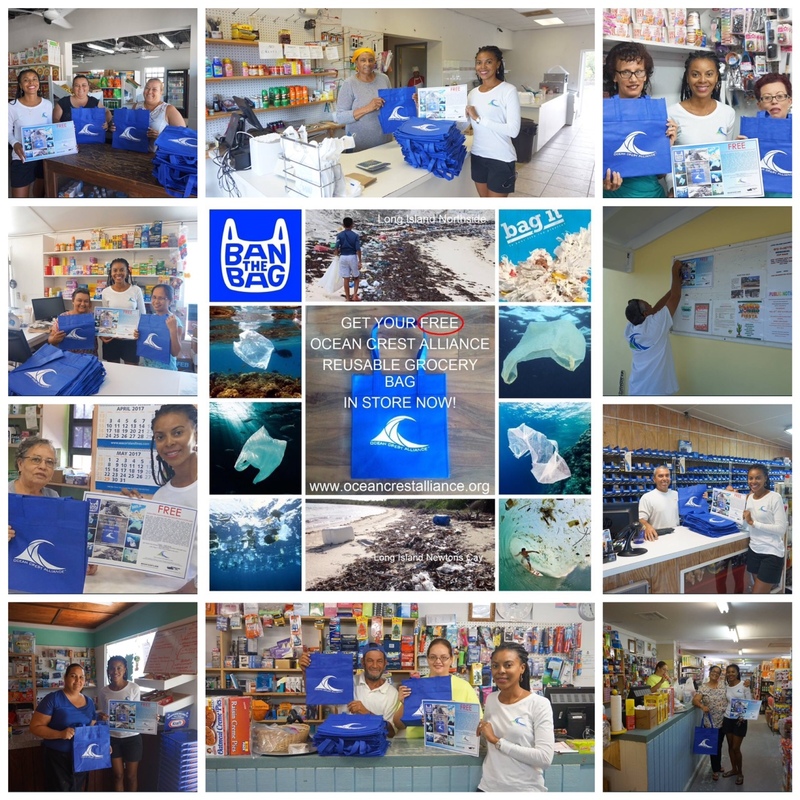 In May, we delivered 1000 Ocean Crest Alliance Reusable Grocery Bags to the Food stores across Long Island, Bahamas. 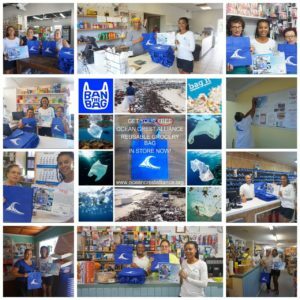 Through our surveys and speaking with shop owners we have estimated that we Long Islanders use between 2 to 3 million single use plastic grocery bags annually, which end up in our landfills, oceans and across the land. 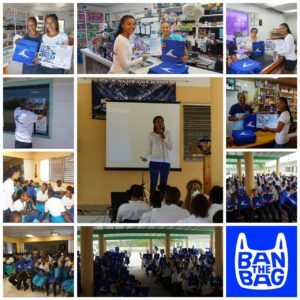 Together let’s “bagit” and help to make Long Island the greenest and bluest island in the Bahamas. 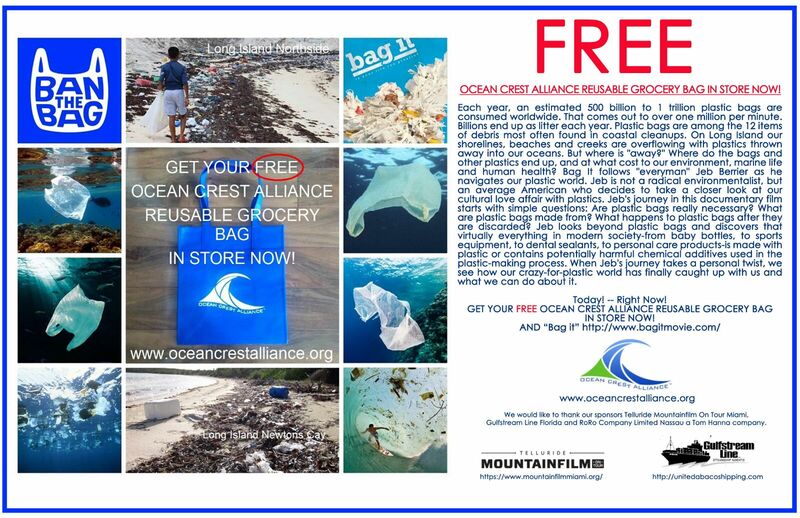 Please everyone that received an Ocean Crest Alliance Reusable Grocery Bag, remember to carry it back into the stores when shopping to help eliminate the use of plastic bags on Long Island. 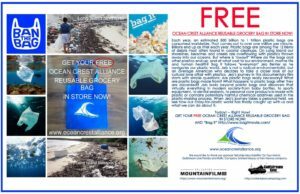 When OCA and our partners can see good percentages of persons using their OCA reusable grocery bags for food shopping we will work to supply more to share with the community! 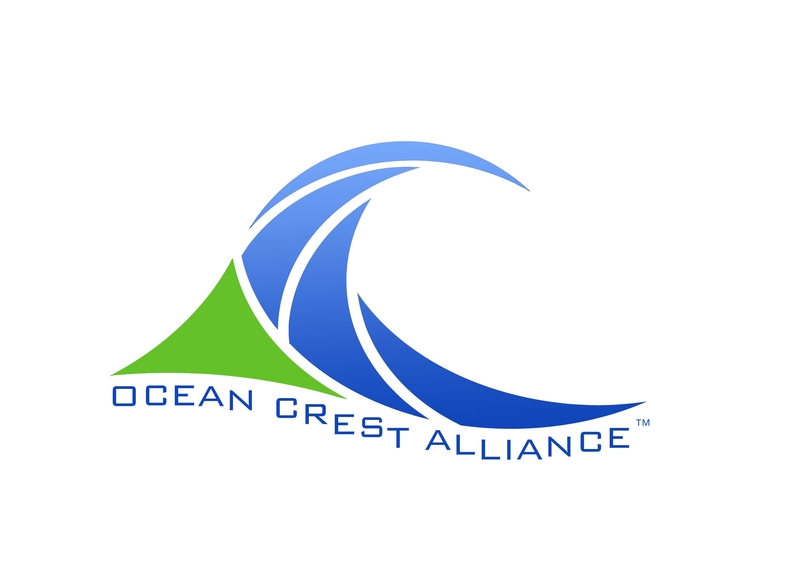 It is “we” the community that must make this happen! 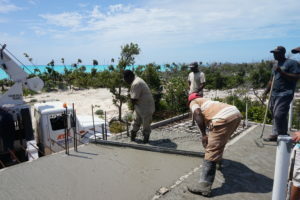 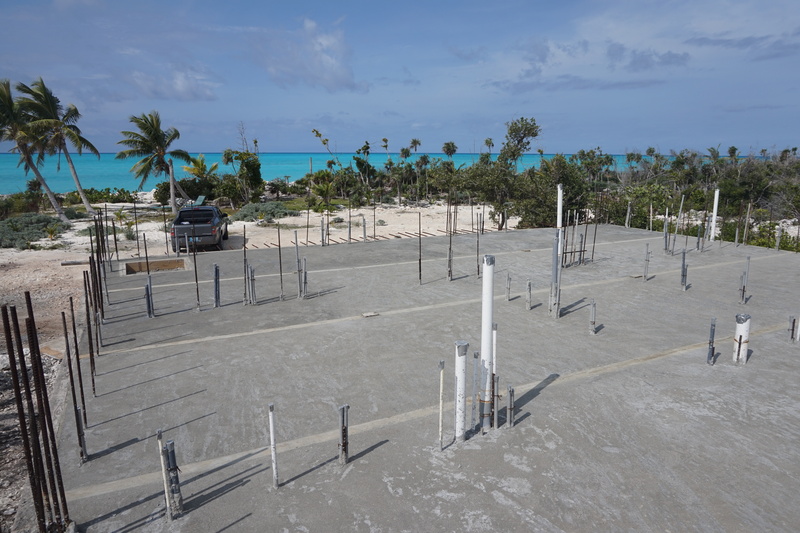 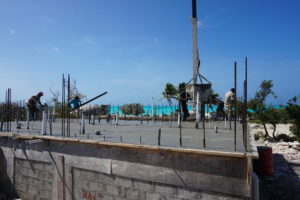 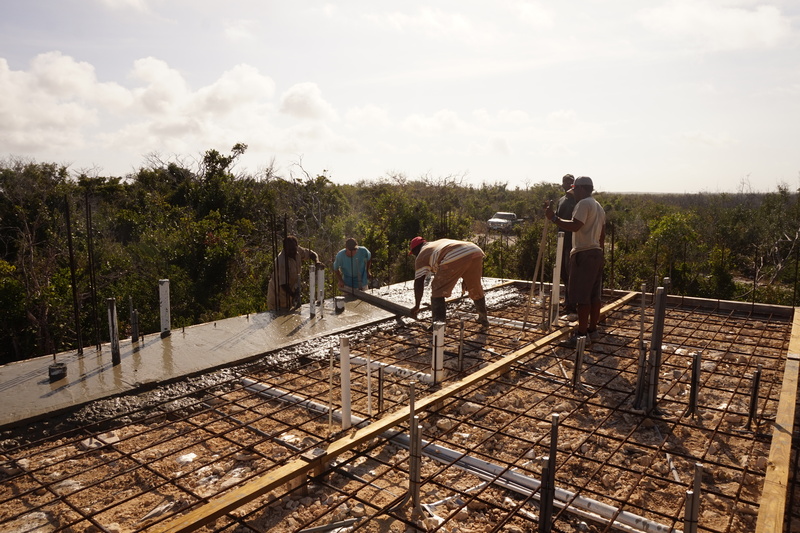 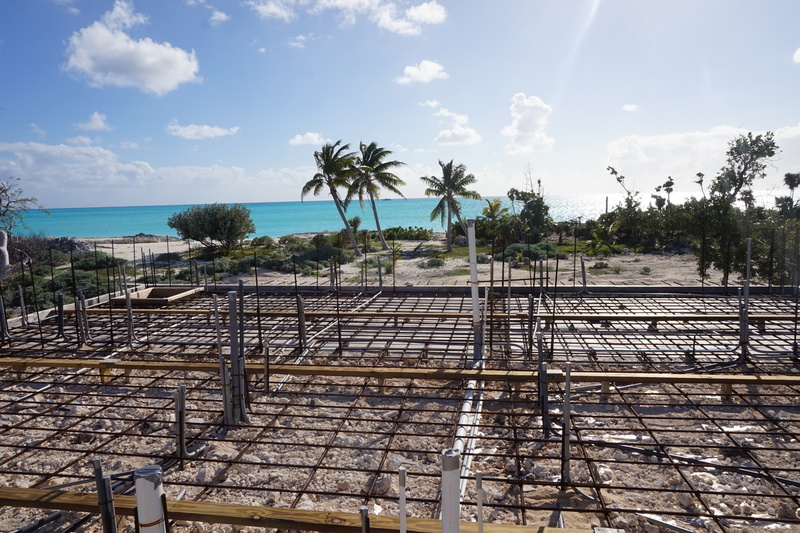 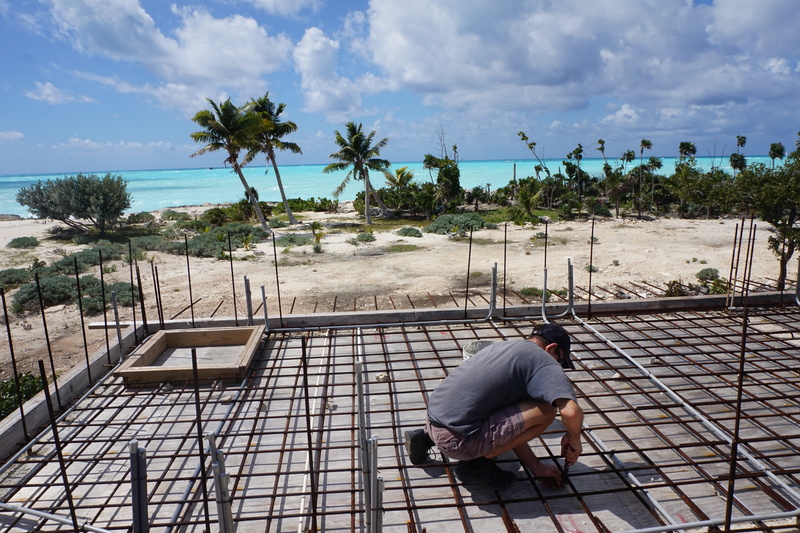 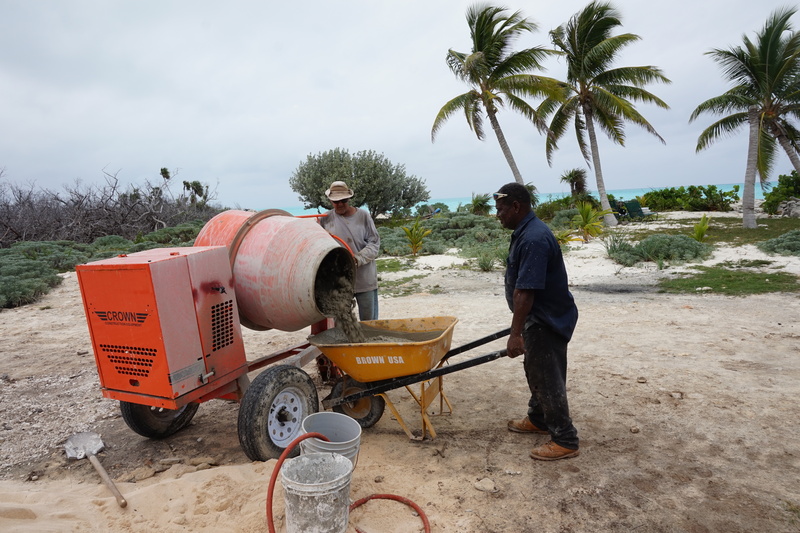 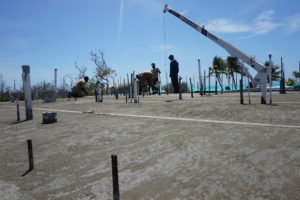 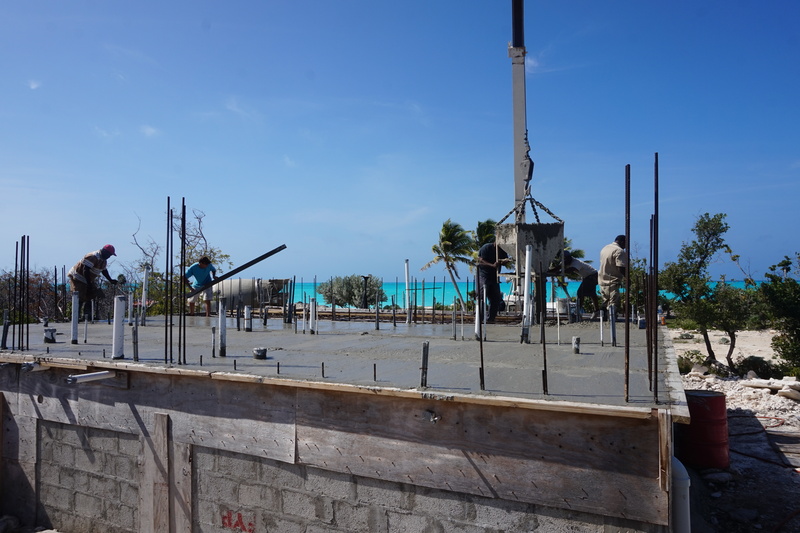 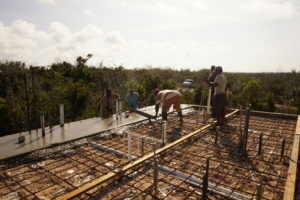 We poured the Slab to the Kitchen Kottage the first building to be constructed on the OCA, Cabbage Point, Bahamas Facility. 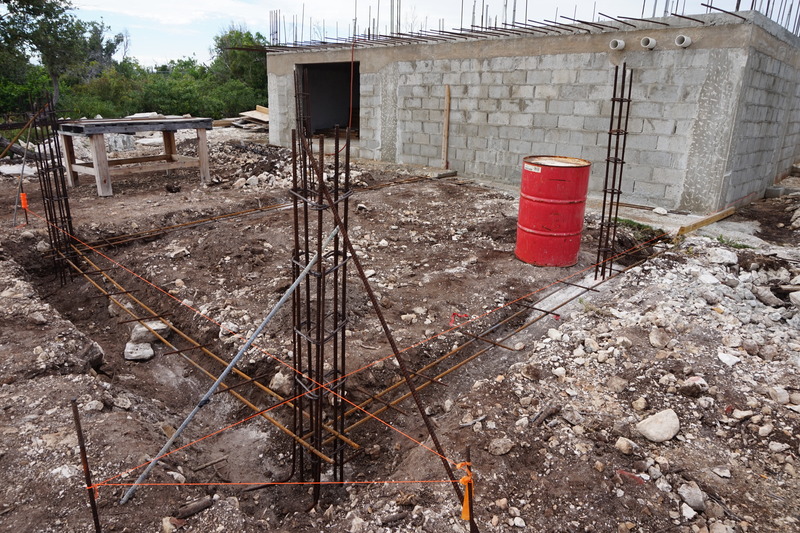 Below the slab is an 8100 gallon rain water catchment tank and a utility / pump room. The structure is elevated 9 feet off the ground! 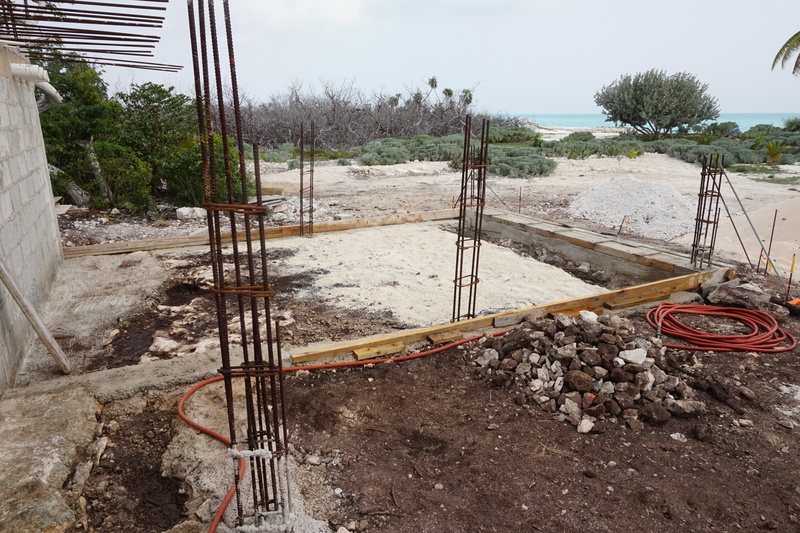 Kitchen Kottage – tying steel and pouring the concrete Slab! 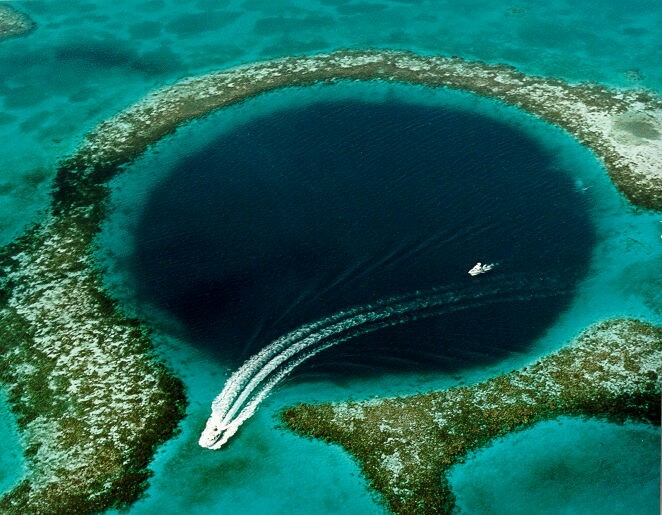 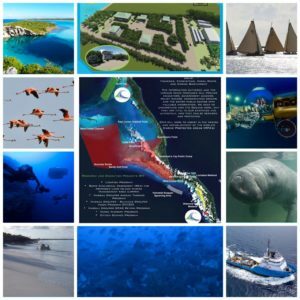 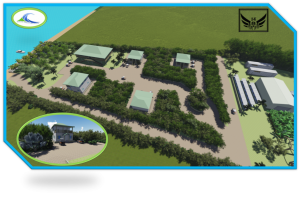 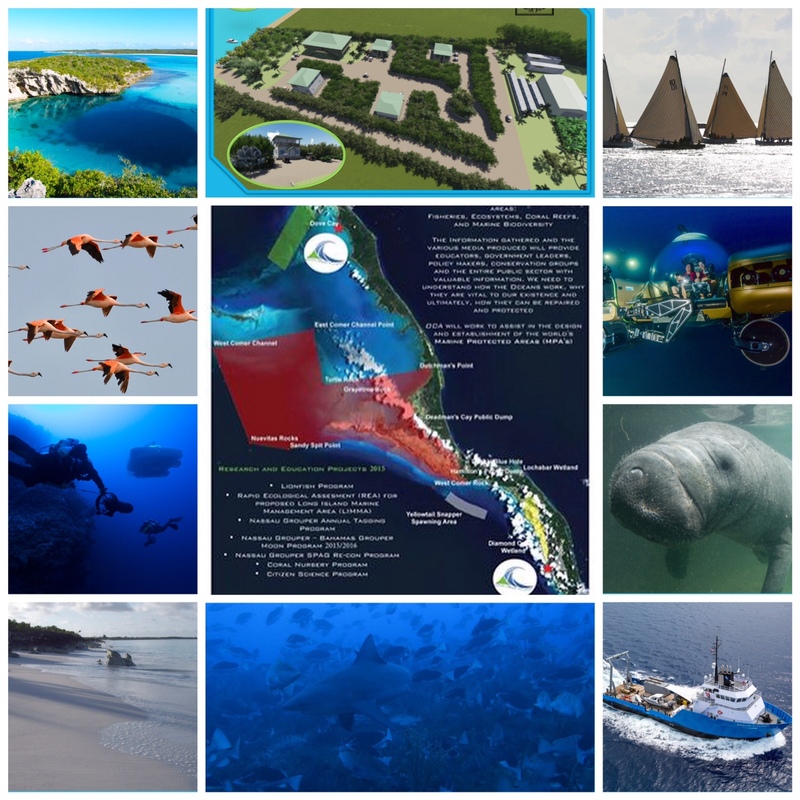 Ocean Crest Alliance Unveils Its Newest Acquisition in Belize!